The Tower Point Concert Band that first performed at SunBird in February 2018, is returning to SunBird to present another fine performance of concert band music. The date is Sunday, February 24, 2019, at 2:00 p.m. in the clubhouse ballroom. The band, whose home base is the Tower Point Resort in Mesa, is under the direction of Bob Meyers, and their concert will include a variety of marches, show tunes and other traditional concert band music. This is a free concert; however, donations to help defray the band’s expenses will be graciously accepted. This band was started in 1991 by residents of the Tower Point Resort. 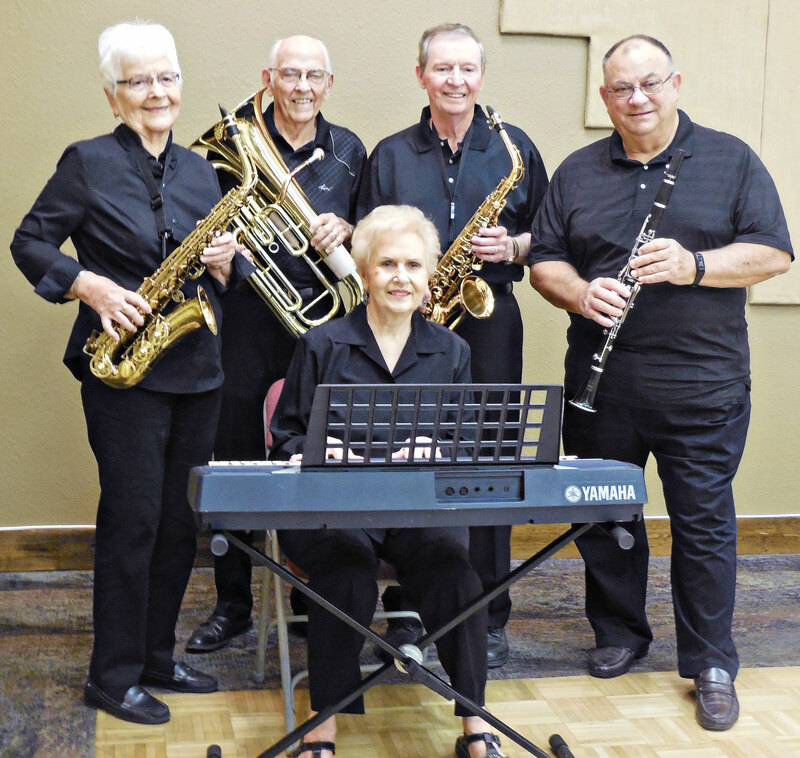 Over the years, it has grown to approximately 60 volunteer musicians, some of whom are fulltime residents and some are snowbirds, many of whom reside in different parts of the Valley. This excellent band presents about four to five concerts during both the fall and spring sessions. They hold practice each Wednesday morning in the Tower Point Resort ballroom during the season. The band always welcomes anyone who would like to pick up their instruments and join in the fun. SunBird is well represented in the band’s membership by residents Owen Bae and Jo Ann Mattheis on saxophones, Ken Mattheis on the baritone horn, Pat Kelly on the clarinet and Joyce Bae at the keyboard. So mark your calendars and come out for an enjoyable afternoon of great concert band music.